Now that I’m temporarily back in the world cable television, I’ve been able to catch up on all my favorite HGTV shows. Having watched countless episodes of Rehab Addict, Property Brothers, and Love it or List it (to name a few), I’ve noticed a bit of a trend: attic spaces converted into master bedrooms. This concept is especially apparent in older New England homes. But why build a bedroom in the attic? Many older homes were never designed to accommodate a large master suite, something in high demand for today’s homeowner. 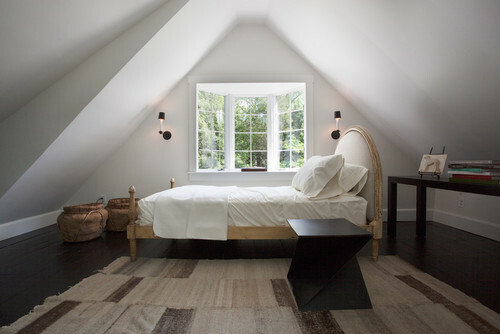 And when lot size limits your ability to build an addition to your home, an attic bedroom provides a creative solution. 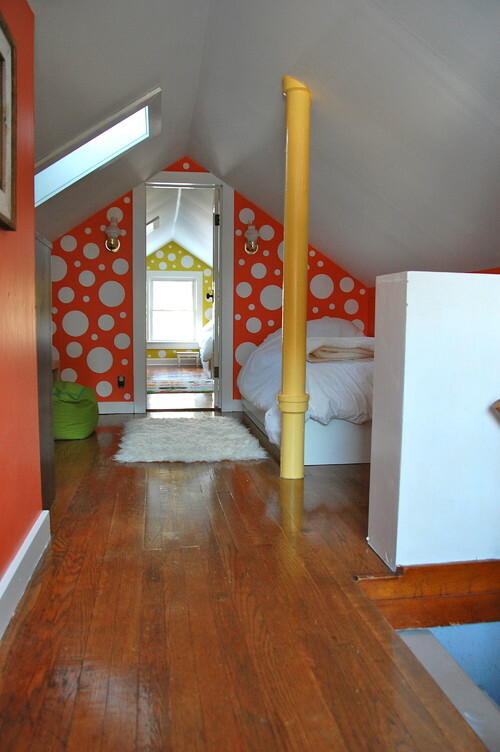 While the idea of an attic bedroom initially seemed a bit strange, it’s actually started to grow on me. 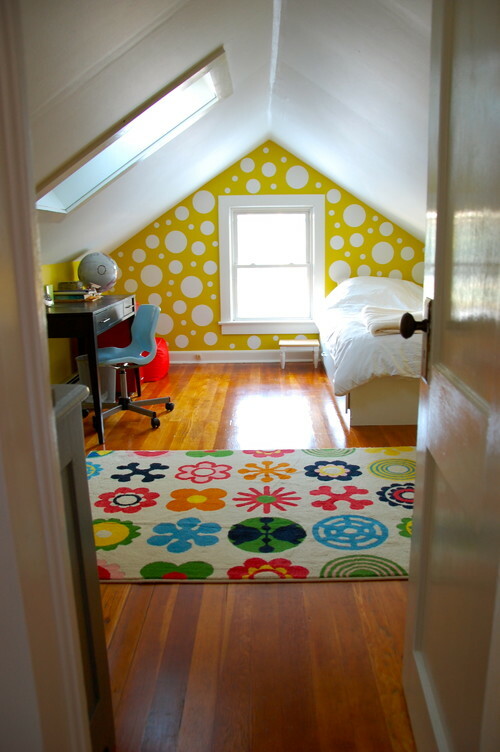 I am much more partial to an attic bedroom than a basement bedroom. Have a look at some wonderful bedrooms occupying these often-wasted spaces. Will you mind climbing up extra stairs to your bedroom every day? Most modern bedrooms are located on the main level, which makes them convenient to access. With an attic bedroom, you’ll have the privacy of your own floor, at the cost of some extra cardio. 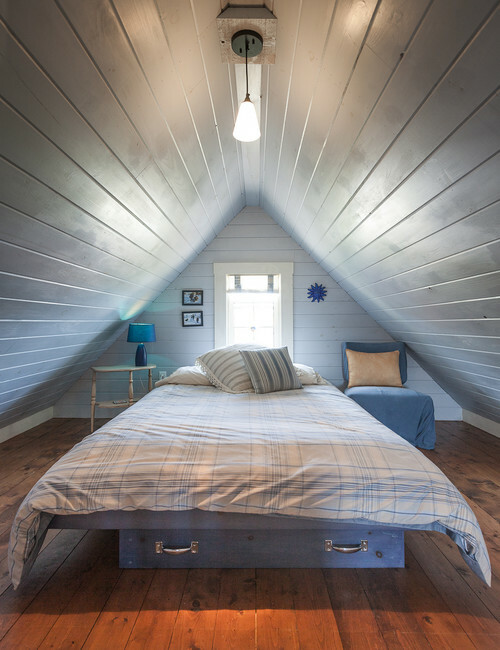 Is your attic able to be converted to a master bedroom? The first consideration is size, as not all attics are big enough to accommodate a master suite. Also, if you have ductwork and hot water heaters in your existing attic it may be cost prohibitive to relocate all these utilities. Other considerations include installing windows, plumbing and electrical, as well as structural limitations. 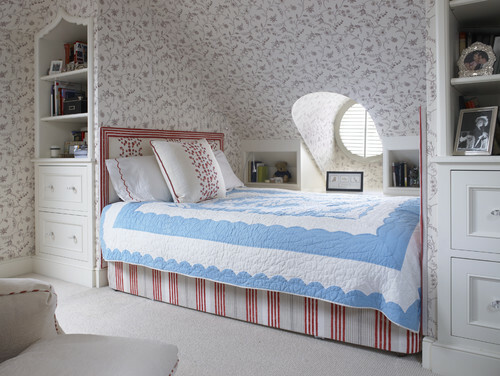 That said many attic bedrooms often feature very cool vaulted ceilings, which can add some serious visual appeal to your space that you couldn’t (or wouldn’t) otherwise create. 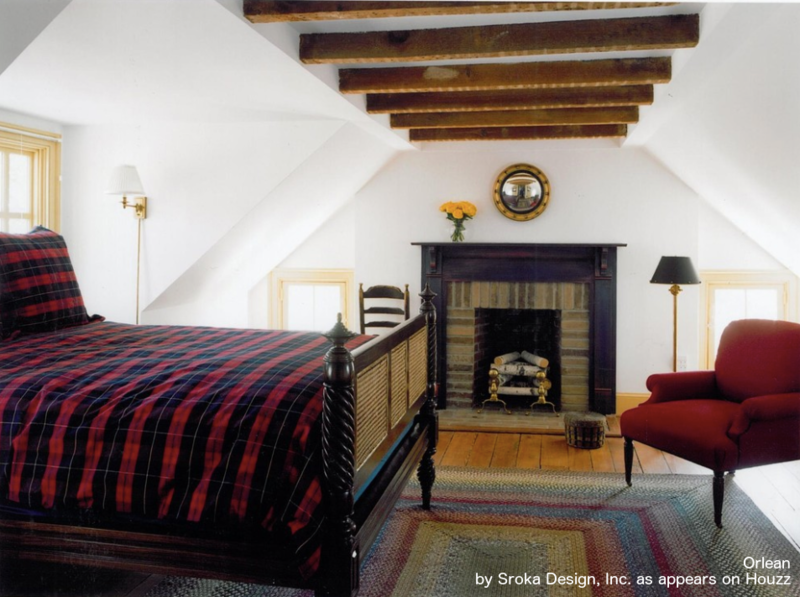 Will converting your attic into a master bedroom yield a positive return on investment? To answer this question, you’ll have to do some research to see what price gains you may realize from increasing the size of your home’s living space. The return on your investment may not always be a top priority, however, especially if your home is already in your ideal neighborhood. Understandably, attic bedrooms aren’t for everyone. 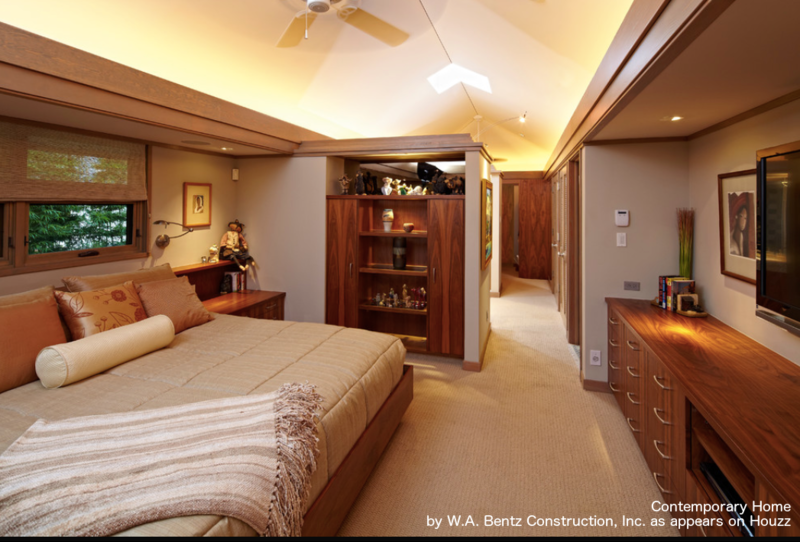 But if your budget, lifestyle, and home can accommodate an attic-to-bedroom conversion, then you just may be able to create the master suite of your dreams. 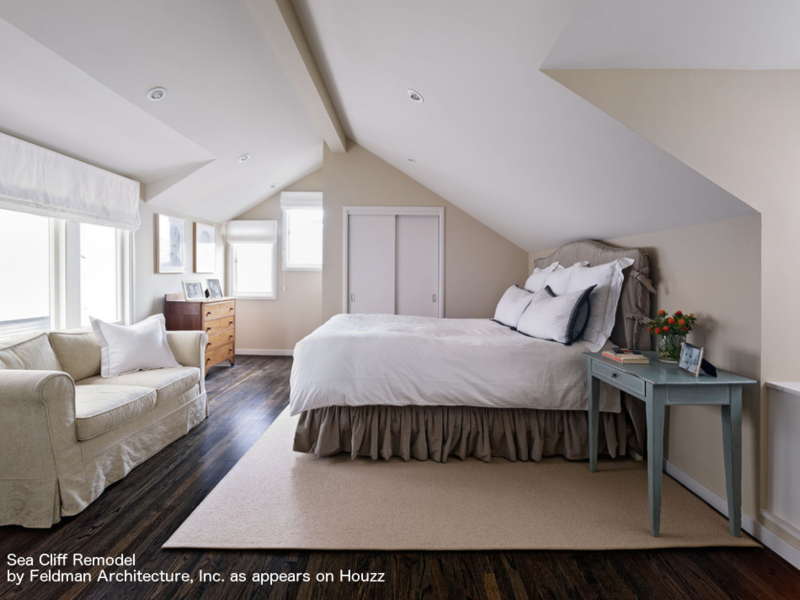 As always, I recommend checking out Houzz for more attic bedroom inspiration.